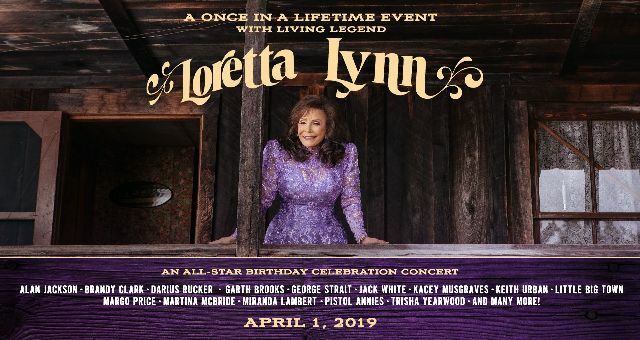 On Monday, Loretta Lynn celebrated her 87th birthday a couple of weeks early with a star-studded concert at Nashville’s Bridgestone Arena. Among those in attendance were Keith Urban, Tanya Tucker, Little Big Town, Garth Brooks, Trisha Yearwood…just to name a few. For the full article, along with a number of pictures, from CMT News, click on the link below.